I hope I’m not jinxing myself but today I am thankful that I haven’t had any migraines for a while. It’s not “just” not having migraines, but the fact that, should I get one, there’s nothing I can do about them anymore. I used to get migraines quite often, a hormone thing probably. I spent lots of hours in a completely dark room, blocking out sound, trying to keep my head from pounding. There was a long period of time that I had a migraine 6 days out of the week for several weeks. By accident, a friend asked me on a Monday if I had one that day and that started me thinking – why do I have them every day except Mondays? I figured out that it wasn’t a migraine at all but an allergy headache – I was allergic to the bath oil I was using Monday-Saturday. I gave that to my Mom and those headaches went away. I still often get allergy headaches. Since my Cushing’s transsphenoidal pituitary surgery, I can’t smell things very well and I often don’t know if there’s a scent that is going to trigger an allergic reaction. In church and elsewhere, my Mom will be my “Royal Sniffer” and if someone is wearing perfume or something scented, she’ll let me know and we’ll move to a new location. There’s a double whammy here – since my kidney cancer surgery, my doctor won’t let me take NSAIDs, aspirin, Tylenol, any of the meds that might help a headache go away. If I absolutely MUST take something, it has to be a small amount of Tylenol only. My only hope would be that coffee from Day Thirteen. And that’s definitely not usually enough to get rid of one of these monsters. So, I am very thankful that, for the moment, I am headache/migraine free! 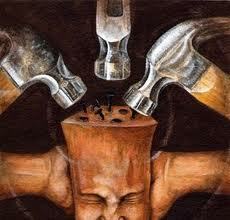 Chronic migraine headaches can interfere with work, family, and leisure. 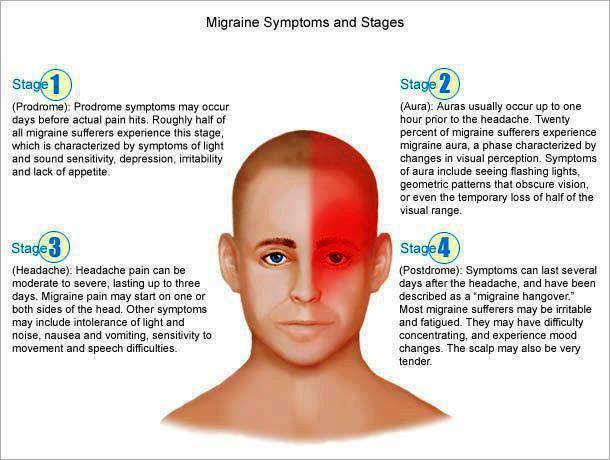 Medications may not manage the pain, nausea, dizziness and other symptoms associated with migraines. This trial may help people suffering from chronic migraines maintain their lifestyle better – and it pays! Learn more about this trial.